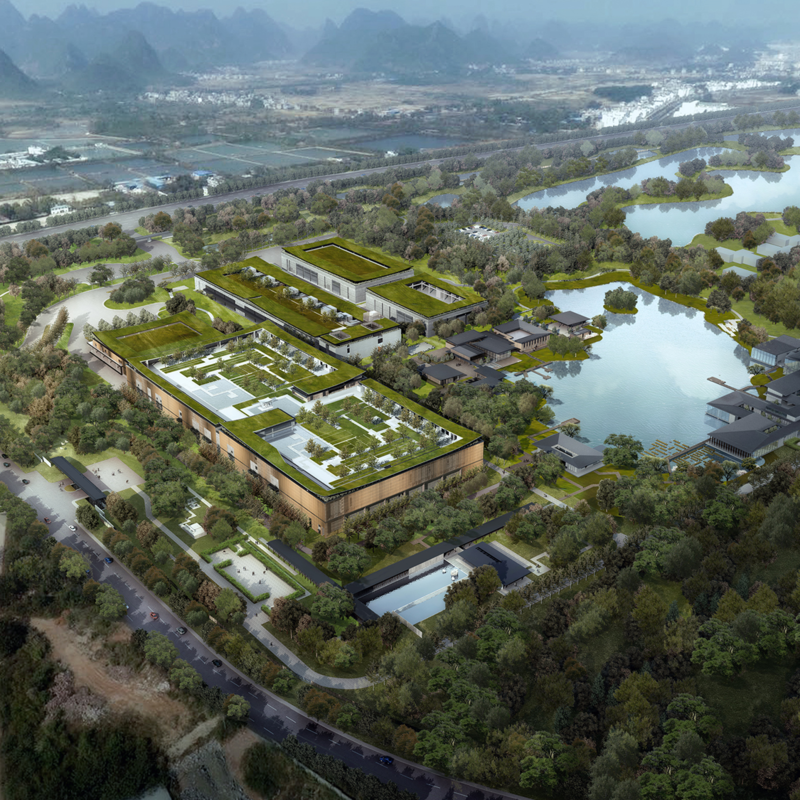 A textile and garment manufacturer is dedicated to changing the traditional image of low-tech processing industry by integrating conservation elements with “Industry 4.0” in its new manufacturing plant in a scenic natural area — Guilin, China. Integral is comprised of a manufacturing zone for a state of the art spinning factory and garment production; an experience and exhibition zone showcasing technological development of textile industry; a learning centre, a scenic dining facilities for staff and a botanical garden where natural dye crops are planted. Integral’s prime planning and architectural design principles were to respect nature and site context and create architecture which co-exists with the natural landscape. It strives to create a balance between nature and humanity, while enhancing industrial & technological advancement of society. Design of Integral began with studies of the site’s topography and geology and also referred to the history and culture of Guilin. The ultimate plan was to turn this manufacturing-led area into a new type of conservation-led development. The design artfully combines three industries on one site – planting and farming, manufacturing and tourism. We believes that the concept of co-existing with and co-developing alongside the natural environment is redefining the aesthetic of architecture in the 21st century. We are now re-prioritising the natural environment over personal identity and design preferences. The design of Integral is not focused on a single building but ensuring that the local environment, topography, culture and history inspired the final design. Integral has become a leading role model for a new type of functional and sustainable architecture that is pioneering a green built industrial environment.